Achieving your health and fitness goals is never easy. It takes hard work, dedication, determination, and a positive outlook. Sometimes, these things can be harder to attain on your own. Other times, you might not even know how, when, or where to start. That’s where personal fitness training comes in. 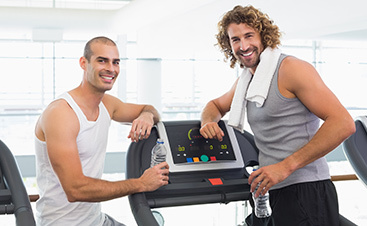 A personal trainer is essentially like your own private health coach. They will develop a plan based on your goals, fitness level, and other factors, while standing by your side and pushing you throughout the process. There are many benefits associated with hiring a personal fitness trainer, many of which can help you achieve the level of fitness you have always desired. 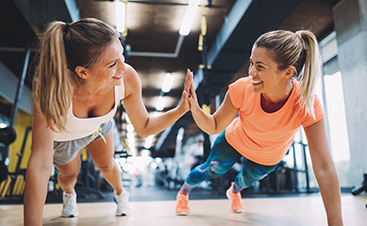 Keep reading to learn more about the benefits of hiring a personal trainer and contact Fit Results to find out how our own team of personal fitness experts can help you find your reason. The first reason that hiring a personal trainer can do for you is help set realistic goals and expectations for your fitness plan. It’s not always easy to give ourselves the most honest evaluation, and most likely not for the reasons you may think. Often times, we give ourselves too little credit for our current situation. A personal trainer will give you an honest, fair evaluation and help you develop a definitive plan, from weekly workouts to nutritional coaching, to any general advice that will help you achieve results. Like we said above, it’s not always easy to push yourself to your physical limits — let alone even get out of bed and head to the gym each day. 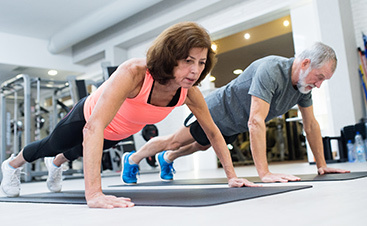 By making a commitment to fitness with a personal trainer, you’ll get that extra push you need from someone who is personally invested in getting you the results you want. Often times, getting into shape, losing weight, and improving health overall is simply about creating good habits. There’s no better way to create good habits than by getting into a solid, well-balanced routine. With a personal trainer, you will do just that. Your fitness training expert will develop a daily, weekly, and monthly routine for you in a way that helps you achieve those aforementioned goals. Have you ever just roamed around the gym with no clear direction and no focus? That can be a major hindrance when trying to get fit and healthy. When you enter each fitness training session with your personal trainer, you’ll know exactly what you’ll be getting into each day. This can not only help with your routine but will help you balance your training and allow recovery time for each of the muscle groups. When attempting to make significant changes and see results, there can be no overstating the importance of having someone by your side through every step of the process. A personal trainer takes a customized, personal approach to your situation, so you know it will be at a level that pushes you, but is completely doable. There is no replacement for high-quality personal fitness training, especially here in Midland. Contact Fit Results to see how our personal fitness trainers can help you find your reason.